Bicker Buds is an organisation that aims to enhance the beauty of the village by improving and maintaining its public spaces. The group began in August 2012 and carries out its tasks on a weekly basis. 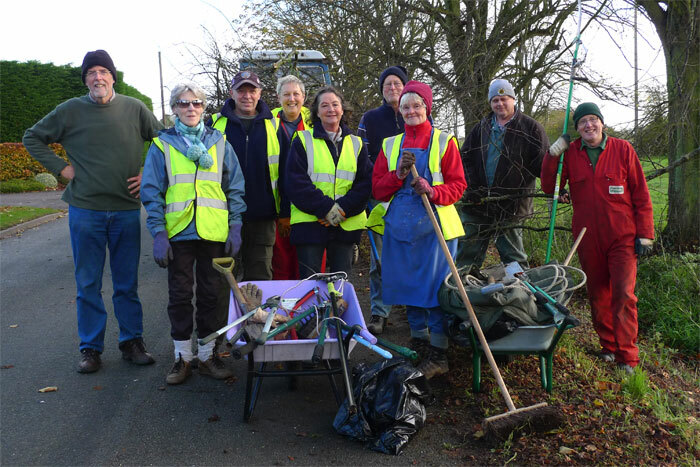 The group is independent but does work in partnership with other local bodies such as the Parish Council, Boston Borough Council, the Black Sluice Internal Drainage Board, and other people who want to help to improve the village. The Bicker Buds pruning overhanging branches and clearing the dyke on Monument Road. The group meets at 9.00am every Wednesday. Bicker Buds is a group that is focused on practical, outdoor tasks, so it meets at the place where work is to begin. Bicker Buds welcomes support from anyone who is able to offer help. To get in touch simply speak to us in the village any Wednesday morning!